Confucianism also names as Kong Jiao. It was founded by sage Confucius(Kong Qiu), along with Buddhism and Taoism, together known as the three Chinese Religions. It is a complex system involves moral, politics, society and religion which set tremendous influence on Chinese culture. 476 BC-770 BC: Kong Qiu in Spring and Autumn Period was a man of letters who worried about the chaos in his country and had expectations on recovery of stability and safety in the area. Erudite as he is, he was titled as "Confucius" or "Fu Zi", so he arranged cultural fruits created by the ancient emperors and raised his own thoughts, hoping that people would follow the elaborate arranged literatures to conduct. 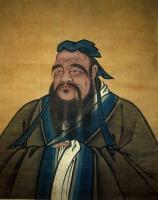 Ancient documents from Confucius's hands became the basic theories of the Confucian scriptures. 202 BC-220 BC: Confucian Dong Zhong Shu made new explanations based on Confucius works. Later on, efforts on the religions populization were brought into practice and the Confucianism was considered the traditional religion on the two scholars’ doctrines. Therefore, respecting only Confucianism revealed the beginning of the time of the Confucianism. 581 AD-618 AD: foundation of system of propriety and ceremony was solid enough to reach the new height. 907 AD-960 AD: Confucians started to question the effects of Confucius on people and appealed them to obey the system of propriety and ceremony. Classical works of Meng Zi, Da Xue, Zhong Yong were been valued particularly. 960 AD-1279 AD: Meng Zi was taken special emphasis thanks to the endeavor Zhu Xi, along with The Analects were considered Si Shu (means four books in Chinese). These are the compulsory courses for Confucians. Ever since dynasty Han, the Confucianism doctrine was respected as state religion. Integrity in Confucius thought develops our self-respect, self-reliance and independency. Kong Zi carried forward the six works as:Shi, Shu, Li, Yi, Yue and Chun Qiu. Since Eastern Han dynasty to Song dynasty, the basic six was added into thirteen books. The additional ones are The Analects, Principles of Filial Piety, Zhou Li, Li Ji,Gong Yang Zhuan, Gu Liang Zhuan, Er Ya and Book of Mencius. The top conduct theory in Confucianism is being kind and having mercy, to be friendly among people. It respects the god and emphasizes the inner communication spiritually. Man’s life is determined by god. San Gang: To manifest the fairness and the integrity; to treat the people as one would treat one's family; to aim at absolute perfection. Ba Mu:Ge Wu,Zhi Zhi, Cheng Yi, Zheng Xin, Xiu Shen, Qi Jia, Zhi Guo, Ping Tian Xia. In Chinese culture, one piece of saying is widespread meaning: person who aimed at manifesting the fairness would administer his country(Zhi Guo) in the first place; he who wants to guard his country should manage his home clean and tidy; he should manage himself well(Xiu Shen) first for the tidy-keeping of his home(Qi Jia); he should be honest and sincere(Cheng Yi) that he should be study the phenomena of nature(Ge Wu) and correct his conduct and mind in the very beginning. Confucianism in ancient societies focused on ethics and dominated people's behavior, medical treatment as a social activity will also be affected by it. Due to the coherence of social role of medical and views of nature, filial piety of Confucianism led large amount of scholars throwing themselves into medical domain which made magnificent contribution to the development of TCM. It also improved social status of TCM, enhanced the comprehensive quality of the Physicians, improved medical level of society, promoted the moral construction in medicine. However, Confucianism "piety" and "mercy" ethics impede the development of the anatomy, resulting in a form of medicine asphyxia. The classic of filial piety said: "Body and skin are derived from our parents, they shouldn’t be injured. People should not only preserve the bodies of their parents and himself's, nor can he damage other's body. However, Confucianism "piety" and "mercy" ethics are impeding the development of the anatomy, resulting in a form of medicine asphyxia. The classic of filial piety said: "Body and skin are derived from our parents, they shouldn’t be injured. People should not only preserve the bodies of their parents and his own, nor can he damage other's body. Anatomy, being damaging others' bodies directly, is of course, being prohibited by Confucian ethics and laws as well, leaving anatomy as a medical research activities bounded in ancient China. The frustration of TCM Anatomy has decided its differency from Western medicine and non-morphological development direction, which is one of the root causes of distinction between Chinese and Western medicine. Doctors in ancient China understood diseases, life and death from human body, society and natural environment; they sought treatment for the disease and prolonging life from natural, instead of blaming ghosts scourge or praying to spirits for recovery of the patients, which promoted medicine development. Progress in Chinese medicine definitely owns to social impact that Confucianism has brought. 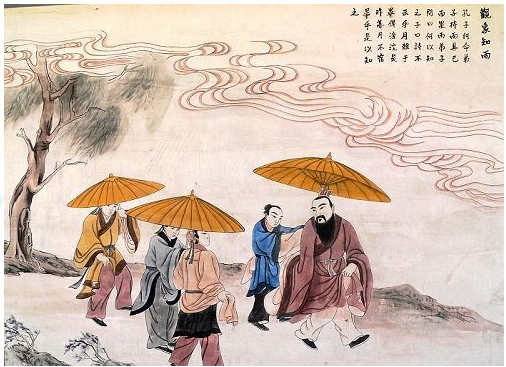 Confucius advocated for the doctrine to be used for the reality, to observe its effectiveness. Non-practical talk is not upheld. This reality style has affected the whole Chinese culture. Under the influence of aspiring effective results of Confucianism, medical scientists focus on clinical research of practical medicine, clinical experience manifested the progress of TCM, accumulation of clinical experience, making traditional Chinese medicine moving towards practical and clinical direction. Combining closely to clinic, medicine directly brought benefit to the society. Most ancient Chinese medical books are clinical treatises, which are considered clear evidence.